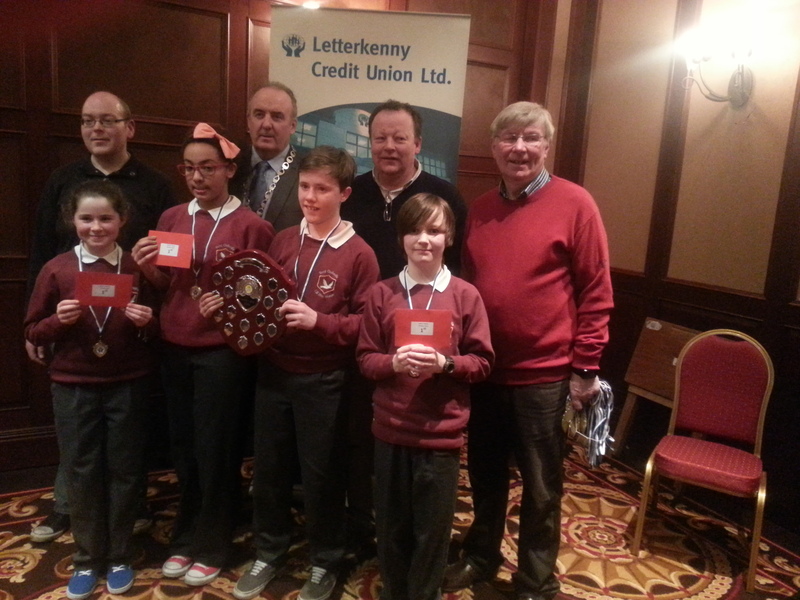 Well done to all our pupils who participated in the Letterkenny Credit Union Quiz on Monday, 3rd February. There were a total of 78 teams on the night. Kilmacrennan N.S. won the U-11 Junior Section, with a great score of 58 out of a possible 60 marks. 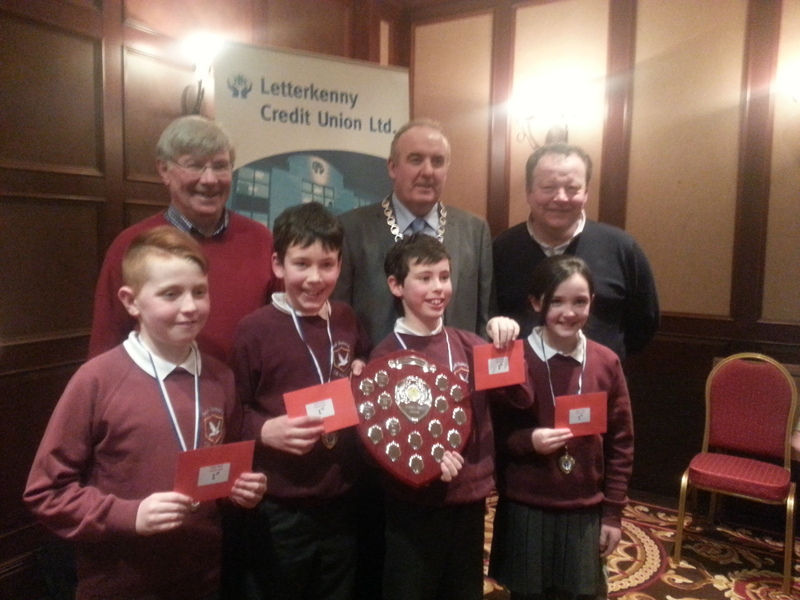 Kilmacrennan were also successful in the U-13 Senior Section. 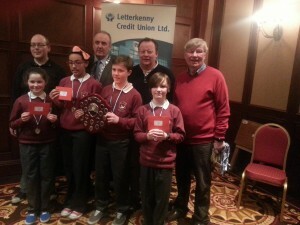 A score of 71 secured first place for one of the school teams while a score of 69 points by another of the school teams ensured a joint second place for that team. Both of the winning teams will participate in the regional chapter final in the Mt. Errigal Hotel on Sunday, 2nd March. Print article This entry was posted by Admin on February 4, 2014 at 11:50 am, and is filed under General. Follow any responses to this post through RSS 2.0. Both comments and pings are currently closed.